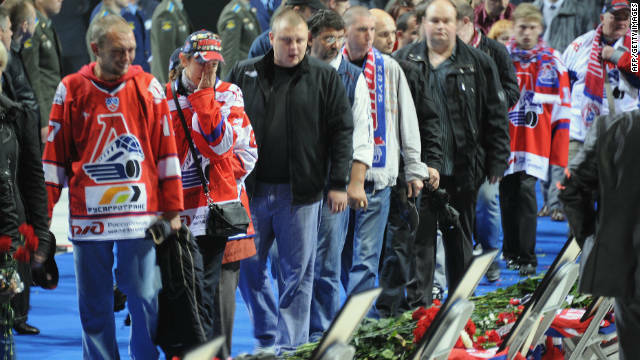 (CNN) -- One of only two people to survive a plane crash last week in Russia, hockey player Alexander Galimov, died of his injuries on Monday, according to the hospital where he was being treated. "Despite continuing therapy using all possible contemporary treatment, Alexander Galimov died from severe burns in the burn center of the Vishnevsky Institute of Surgery," a statement posted on the hospital's web page said. Galimov and crew member Alexander Sizov were the only people to survive the crash Wednesday of a Yak-42 passenger plane outside Yaroslavl, Russia. Forty-three others aboard the plane were killed. They included eight crew members and dozens of Russian and international hockey players for the Yaroslavl Lokomotiv hockey club. The plane was bound for Minsk, Belarus, where the team was to play Thursday, when it crashed just after takeoff. Galimov and Sizov were flown to Moscow for treatment. Doctors said last week Galimov, a forward, suffered burns over 80% of this body. Eleven international players were among those on board. Many of those on Lokomotiv Yaroslavl's roster had ties to the National Hockey League -- which includes teams from the United States and Canada -- including Pavol Demitra, a former Minnesota Wild and Vancouver Canucks center from Slovakia, and Josef Vasicek from the Czech Republic, who had played with the New York Islanders and Carolina Hurricanes. Another Lokomotiv player, Ruslan Salei from Belarus, had skated for the Anaheim Mighty Ducks, Colorado Avalanche and the Detroit Red Wings. Yaroslavl Lokomotiv head coach Brad McCrimmon, a Canadian who also died in the crash, was an NHL veteran as well, the league said on its website. 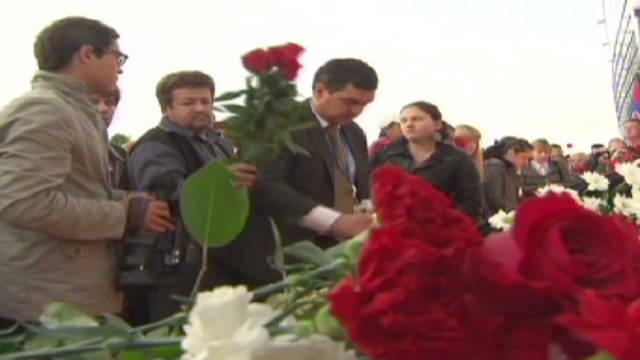 Authorities said last week both the flight data and voice recorders from the plane had been recovered. The cause of the crash remains under investigation. Yaroslavl Gov. Sergei Vakhrukov declared three days of mourning in the region, Friday through Sunday, for those killed. The Russian Kontinental Hockey League will begin its regular season on Monday. Vyacheslav Fetisov, the chairman of the league's board of directors and a hockey legend in Russia, said on television last week that many players from other hockey teams had said they want to support the club and offered to play for the Yaroslav team.